Edward D. Warrek Jr., 93, beloved husband of the late Helene R. (Abbott) Warrek, passed peacefully at his home on January 18, 2019. He was born August 12, 1925, in Bridgeport, CT, the son of the late Edward D. Warrek Sr., and Charlotte (Beach) Warrek. Edward graduated from Harding High School in Bridgeport, CT and The University of Connecticut. 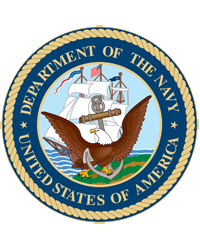 He faithfully served in the United States Navy during WWII, was a member of the American Legion, and retired from Sikorsky Aircraft, where he was always involved in sports, including softball, bowling and golf. “Pop" will be greatly missed. We love his witty sense of humor, practicality, willingness to help, and most of all his sparkling baby blues. Edward and Helene raised four children, of which he is survived by his sons, Daniel E. Warrek, Harry A. Warrek and spouse Deborah, Edward H. Warrek and spouse Deborah, and daughter Wendy A. Smith and spouse Jeffrey, as well as six grandchildren, and six great grandchildren, and many nieces and nephews. In addition to his parents and wife, he was predeceased by his sisters, Mabel Detuzzi and Charlotte Cardinal, and brother, Richard Warrek. A Prayer Service will be celebrated Saturday, January 26, 2019, at 10 am at the CODY-WHITE FUNERAL HOME, 107 Broad St, Milford, CT with interment to follow at Saint Mary Cemetery, Buckingham Ave., Milford, CT. Friends and family are invited to call Friday, January 25, 2019 from 5 to 7 pm at the funeral home. In lieu of flowers, donations may be made to the Fisher House Project or Disabled Veterans of America.